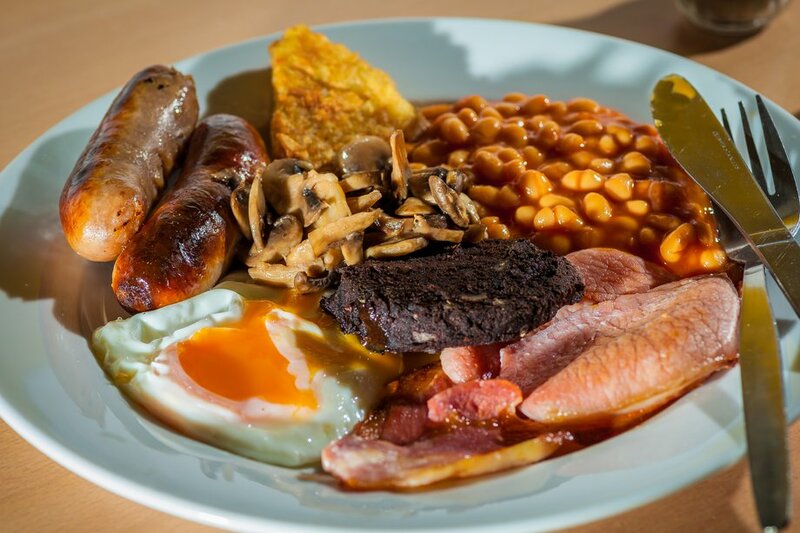 The occasional fry-up or boozy night is unlikely to give you anything more than a short-lived stomach upset. But overindulge too often and you could be storing up trouble for yourself. Here's a tummy-friendly diet to aim for. It's a good idea to try to eat more fibre or "roughage", as most people in the UK don't get enough. A diet rich in fibre can help digestion and prevent constipation. Aim for the recommended dietary intake of 30g of fibre a day. Some people find cereals and grains bring on bloating and irritable bowel syndrome. If that's the case, get your fibre from fruit and vegetables instead. Read more about how to boost your fibre intake. It's important to keep drinking, especially water. It encourages the passage of waste through your digestive system and helps soften poo. Fibre acts like a sponge, absorbing water. Without fluid, the fibre can't do its job and you'll get constipation. A good way to make sure you're getting enough fluids is to drink a glass of water with every meal. Avoid caffeine drinks as they can cause heartburn. How to choose healthier drinks. Fatty foods, such as chips, burgers and fried foods, are harder to digest and can cause stomach pain and heartburn. Cut back on greasy fried foods to ease your stomach's workload. Try to eat more lean meat and fish, drink skimmed or semi-skimmed milk, and grill rather than fry foods. Many people love spicy food and it doesn't bother their digestive system. Others find their tummy is upset when they have spicy food. It's not just scorching hot foods like chillies that trigger heartburn. Milder but flavourful foods like garlic and onion can also bring it on. Some people find particular foods cause them problems. Acidic foods such as tomatoes, citrus fruits, salad dressings and fizzy drinks can trigger heartburn, while wheat and onions may cause irritable bowel syndrome. And if you cannot digest lactose (the sugar in milk) you'll develop wind and diarrhoea after drinking milk or eating dairy products, including cream, cheese, yoghurt and chocolate. Try to stay away from foods and drinks that trigger your digestive symptoms. One way to work out which foods cause your symptoms is to keep a food diary. Drinks with caffeine, such as coffee, colas, tea and some fizzy drinks, boost acid in the stomach, leading to heartburn in some people. Fizzy drinks in general tend to bloat the tummy, which can also lead to heartburn. To make digestive problems less likely, choose drinks that aren't fizzy and don't contain caffeine, such as herbal teas, milk and plain water. If you can't do without your coffee or builder's tea, limit your intake to one or two cups a day. You can take probiotics as supplements (available from health food shops) or in live yoghurt, which is a good natural source. You'll need to take them every day for at least four weeks to see any beneficial effect.